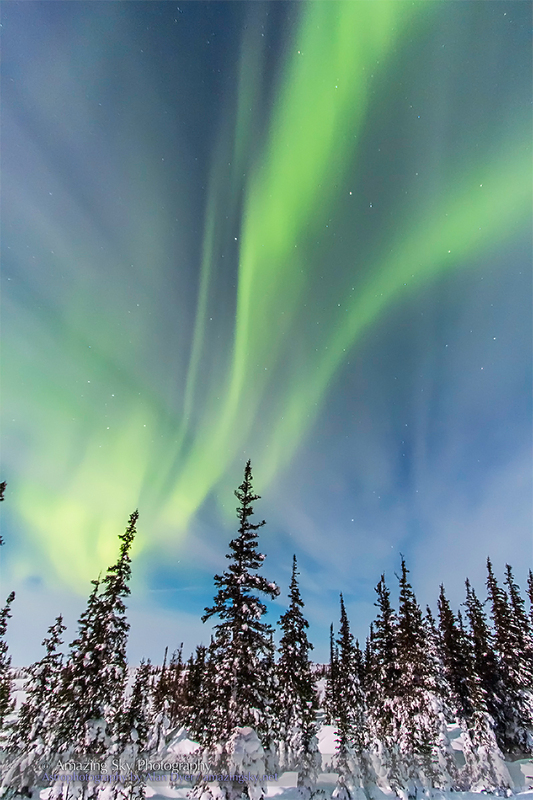 The northern lights – the aurora borealis – shine above the trees of the northern forest – the boreal forest. 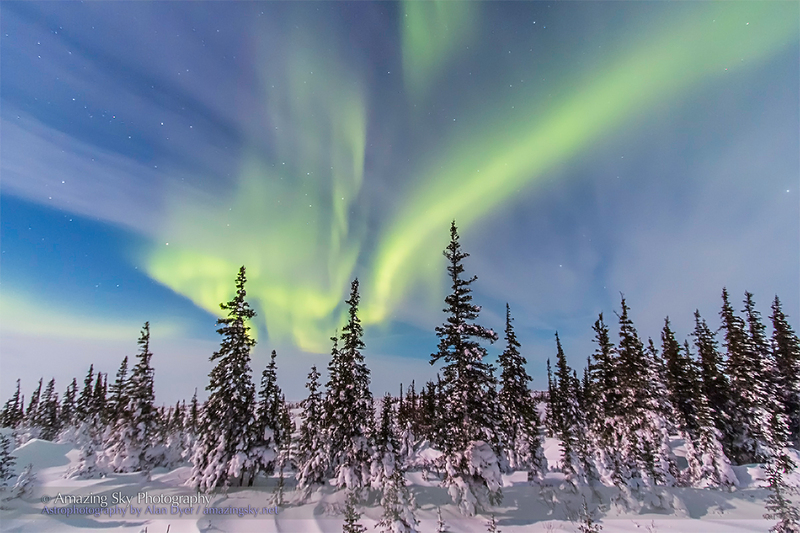 This was the scene on Sunday night, February 9, 2014, as the aurora intensified for a few minutes making for a photogenic backdrop to the snow-covered pine trees of the boreal forest. The landscape looks like daylight but is actually being lit by the light of the bright waxing Moon in the south. These scenes are looking north. 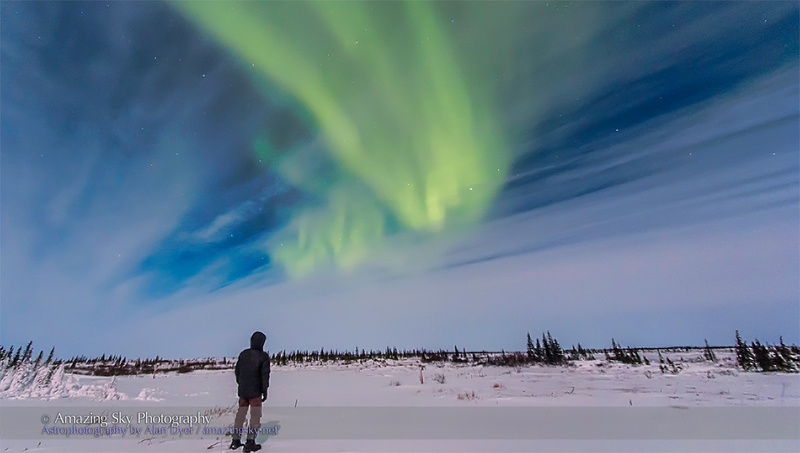 I shot these images as part of my stay at the Churchill Northern Studies Centre where I have been presenting enrichment lectures to two groups of tourists here to see the northern lights during week-long stays. 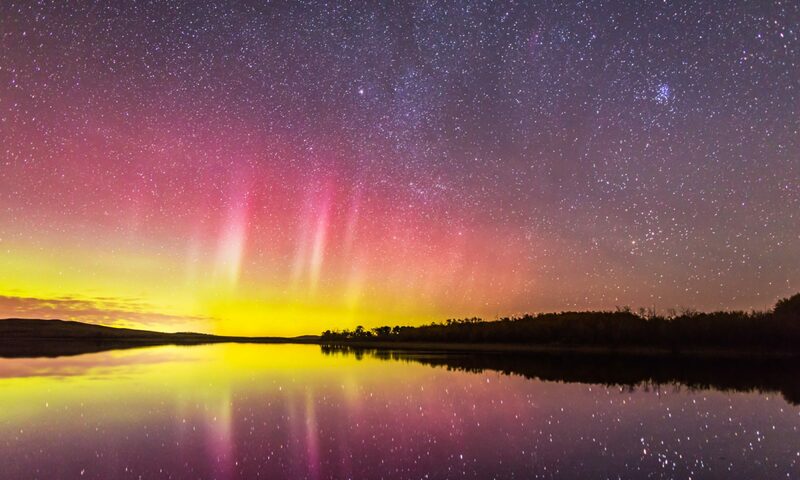 Both groups have been successful in seeing the lights on at least one to two nights of their stay, with the displays usually appearing as sky-spanning arcs overhead. Here I took the time to take a “selfie” under the northern lights, as the curtains began to wave early in the evening. In all, it has been a fantastic experience, to witness the lights from a site right under the active auroral oval at 58° north.